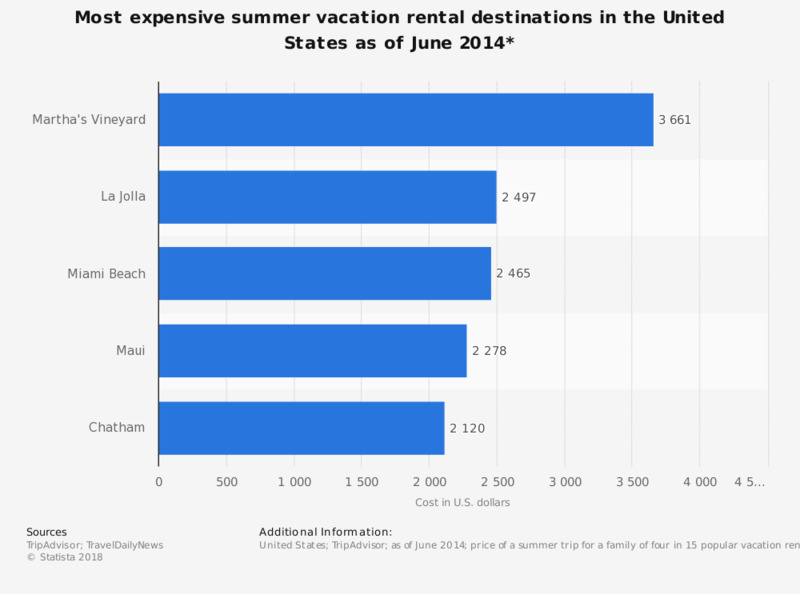 This statistic shows the most expensive summer vacation rental destinations in the United States as of June 2014. Martha's Vineyard was the most expensive vacation rental destination with TripIndex cost of 3,661 U.S. dollars. * The destinations are ranked by TripIndex cost which includes prices for a weeklong stay in a two-bedroom vacation rental property, a one-day bike rental, basic groceries and dinner at a restaurant. The source does not specify a date of survey. The date of survey given is the publication date.